EXPAND when weight bearing and CONTRACT when not weight bearing; this is hoof mechanism. This aids in how a horse PUMPS BLOOD back up his leg to his heart. The expansion and contraction helps to create a liquid (blood) SHOCK ABSORBER, protecting the joints. 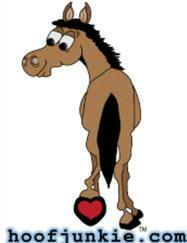 The proprioceptors are intact, allowing the horse to feel the density of the ground beneath him. When the ground is harder, he will shorten his stride to protect his joints. 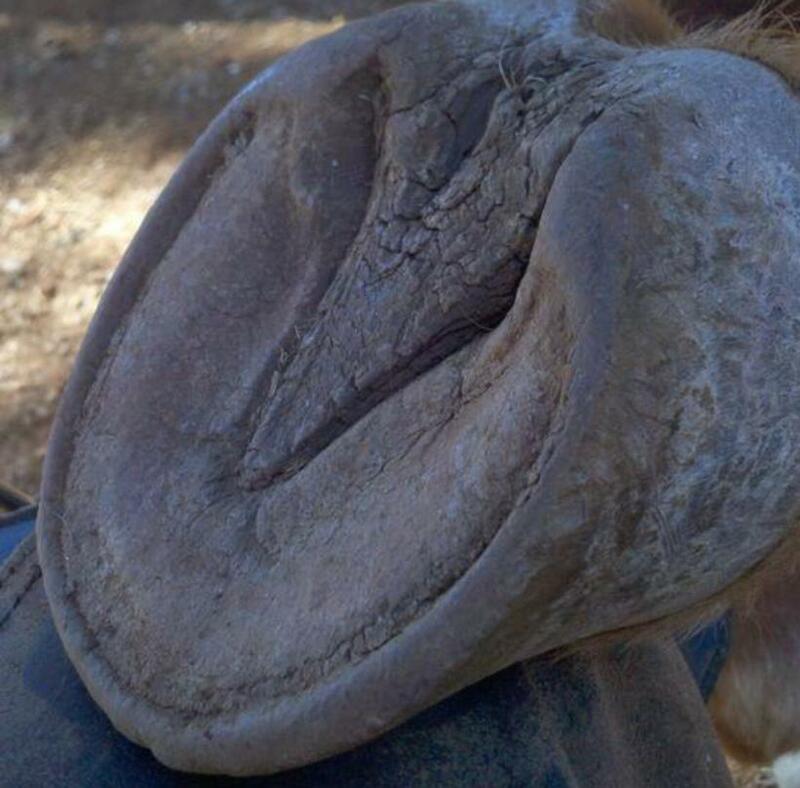 Bare hooves are capable of superior traction control, resulting in less tendon/leg injuries. Horses that compete in Endurance events barefoot (or booted) have heart rates which recover twice as fast as shod horses. The rigid steel renders the heels incapable of flexing independently, creating awkward forces in the joints as entire limb is made to shift and deviate instead of heel alone. The horse's shock absorbing system is rendered useless, allowing the concussive forces and vibration to travel much further up the limb; these parts of the body were not designed for such work. Nail holes open the otherwise sealed areas to invasive bacteria. Expansion and contraction of the hoof are minimal at best, resulting in a diminished hoof mechanism. Steel vibrates and living tissue is killed by vibration. "Show me your horse, and I will tell you who you are."